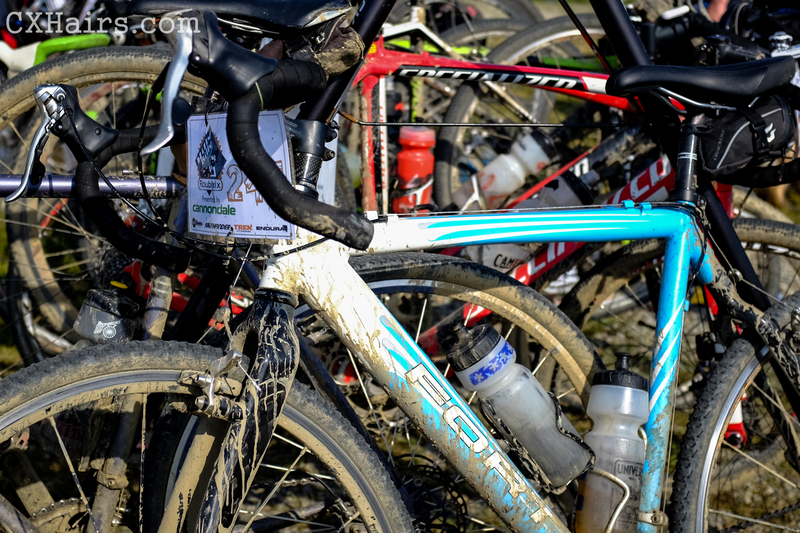 No clean bikes in sight at the finish of the Hilly Billy. I had the pleasure of working at this past weekend’s Hilly Billy Roubaix, which takes place annually just outside of Morgantown, West Virginia. It may be classified as a road race but the Hilly Billy is anything but. Part of the Ultracross Series, the race is a mix of nasty gravel and dirt roads that have more in common with an MTB track than an actual road. 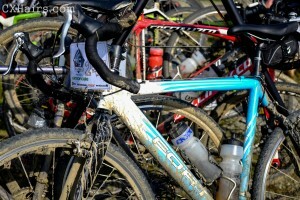 Choosing the right equipment is crucial in this race and folks show up on a mix of MTB and cross bikes. Also key for the past couple years is the ability to deal with heat. Searing temperatures made what under cool temperatures would be a hard day into an almost unbearable one. JR Petsko and his ABRA team of volunteers do a wonderful job putting on a race. If you live in the Mid-Atlantic and have not traveled north for one the ABRA races you are missing out. Get on it people. In between announcing duties I was able to take a camera out on course and shoot a little video. Also my Crosshairs Cycling teammate, Kevin Hays, strapped a GoPro on his handlebars and grabbed footage from the first hour of the race. In the video you get a nice look at one of the early creek crossings and also a real time look at all of the flat tires that happen on course. Hilly Billy Roubaix 2013 from In The Crosshairs on Vimeo.